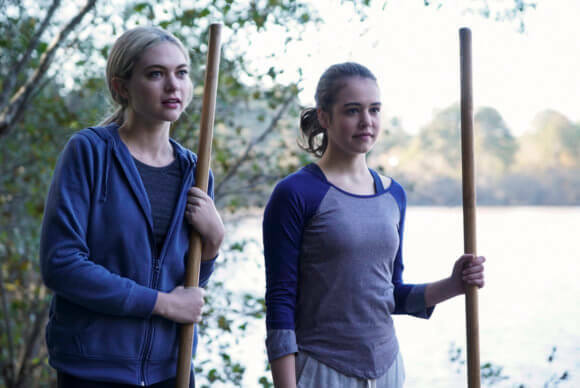 The CW’s Legacies continues season one with episode 10 airing on February 7, 2019. Episode nine found the students at The Salvatore Boarding School for the Young and Gifted either evacuated to the Lockwood mansion or staying on campus to fight off a new demon. With the second Malivore artifact now at the school, the campus is once again a target for all sorts of evil. Alaric believed the school was being visited by a night hag, a supernatural force that enters dreams. He was right about the dream visitor, but wrong about the name of the creature. (It was really a dream demon.) Once they realized their mistake, Hope was able to put an end to the nighttime visitor by staking him in the eyes. Meanwhile, Landon figured out he has to be a better shoulder for Hope to lean on. He confessed he wants her to be able to share her secrets and confide in him, but also assured her in a very sweet moment that he’s not afraid of losing her anymore because he’s always going to fight to find her. 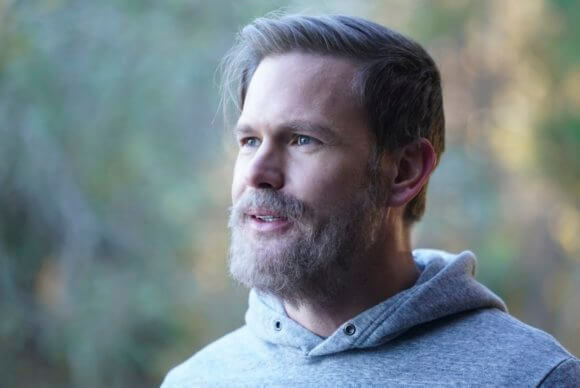 Season one episode 10 is titled “There’s a World Where Your Dreams Came True.” Episode 10 was directed by John Hyams from a script by Brett Matthews and Josh Schaer. The season one cast includes Danielle Rose Russell as Hope, Matthew Davis as Alaric Saltzman, Jenny Boyd as Lizzie Saltzman, Kaylee Bryant as Josie Saltzman, Demetrius Bridges as Dorian, and Quincy Fouse as Milton Greasley/MG. Aria Shahghasemi is Landon Kirby and Peyton Alex Smith plays Rafael Waithe. 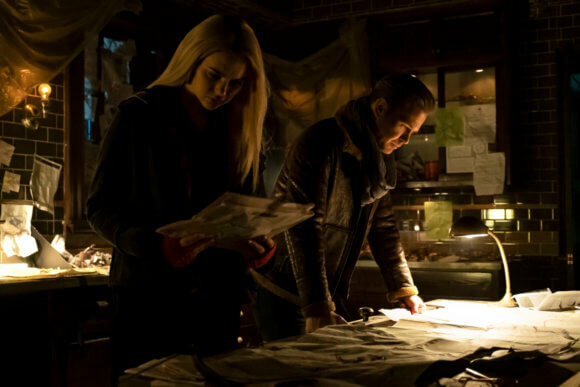 The “There’s A World Where Your Dreams Came True” Plot: A WORLD WITH NO HOPE — Following a stay in Europe with her mother, Lizzie (Jenny Boyd) returns to Mystic Falls and comes face to face with someone who could make all her wishes come true – including making Hope Mikaelson (Danielle Rose Russell) disappear. “For the last decade, the iconic heroes and villains of The Vampire Diaries and The Originals have captivated audiences worldwide. 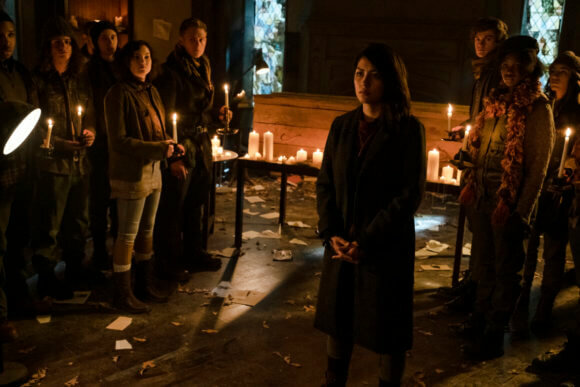 They left an enduring legacy of love and family in their wake, which continues in Legacies, a thrilling new drama that tells the story of the next generation of supernatural beings at The Salvatore Boarding School for the Young and Gifted. 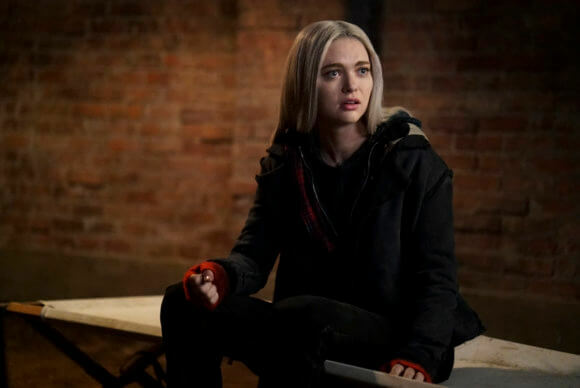 It’s here that Klaus Mikaelson’s daughter, 17-year-old Hope Mikaelson; Alaric Saltzman’s twins, Lizzie and Josie Saltzman ; and other young adults — including high-energy vampire MG, newly-triggered werewolf Rafael Waithe and the mysterious Landon Kirby — come of age in the most unconventional way possible, nurtured to be their best selves…in spite of their worst impulses.